This Strawberries & Cream Martini is made from fresh strawberry puree, cream, Pinnacle's great Whipped Cream Vodka and Fragoli's Strawberry Liqueur. I love this cocktail. The minute the fresh strawberries come out in spring I am all over this puppy at happy hour. Yes, you can use frozen strawberries. 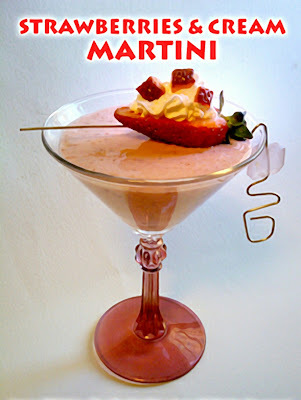 You do have to have a fresh strawberry for this particular garnish or you can top it off with the whipped cream and some of the adorable wild strawberries from the Fragoli. 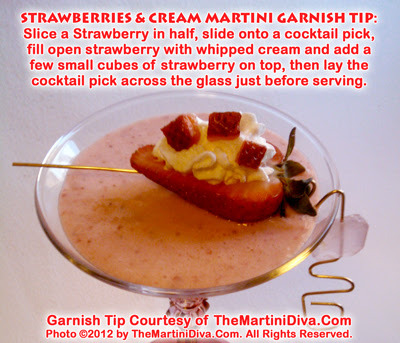 Prepare the whipped cream stuffed strawberry garnish, set aside. Add all the ingredients to the cocktail shaker and shake until chilled. 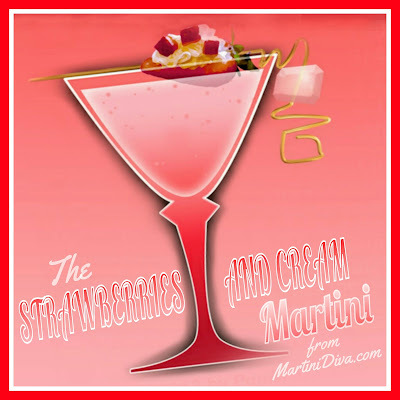 Purchase the Strawberries & Cream Martini Recipe on mailable Invitations - Postcards.